With just two months left until the primary election, Hawaii’s political season has officially kicked into high gear. Tuesday was the last day for candidates to file for this year’s political races. KHON2. 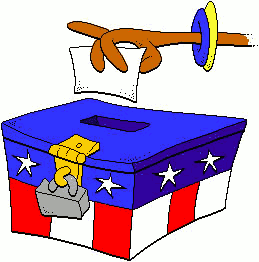 See full list of primary candidates here. Use this guide to track the 2014 Hawaii elections. Civil Beat. What will the Hawaii State Legislature look like after the 2014 elections? Probably a lot like the 2013-2014 Legislature. Most incumbents will likely coast to re-election, as they typically do. That means Democrats are favored to retain majority control of both the Senate and the House of Representatives. Civil Beat. Former Honolulu mayor Mufi Hannemann says, if elected as Governor, one of his top priorities in office will be to restore the Superferry. Hawaii News Now. Former Honolulu Mayor Mufi Hannemann has tapped Les Chang, the city's former parks and recreation director, as his running mate in his independent campaign for governor. Star-Advertiser. If Mufi Hannemann is elected governor he will bring back the Superferry. That’s the promise the former Honolulu mayor made Tuesday after taking his nomination oath and introducing his running mate, Les Chang. Civil Beat. Two real estate associations have endorsed U.S. Sen. Brian Schatz for Senate and U.S. Rep. Tulsi Gabbard for re-election to the 2nd Congressional District of the House. Associated Press. The state Board of Education voted unanimously Tuesday to retain schools Superintendent Kathryn Mata­yo­shi for another three years, but before her contract is finalized she has to come back to the board with steps she will take to address concerns raised in a scathing independent survey of pubic school principals. Star-Advertiser. The Hawaii school board renewed Department of Education Superintendent Kathryn Matayoshi’s contract Tuesday, essentially guaranteeing her another three years on the job starting June 30. Civil Beat. Inmates at Halawa Correctional Facility can no longer touch or kiss their loved ones now that the medium-security prison has become the state's first no-contact prison. Star-Advertiser. A multi-million dollar settlement was announced today in the federal discrimination lawsuit on behalf of hundreds of immigrant Thai workers who were abused and mistreated by a labor contractor and local farms for 4 years. Hawaii Public Radio. Four Hawaii farms are settling a discrimination lawsuit for a total of $2.4 million for allegations they exploited hundreds of Thai workers. Associated Press. Four Hawaii agricultural concerns have agreed to pay a combined $2.4 million to their former Thai laborers in a settlement of a lawsuit that named the farms as accomplices in worker harassment, racial discrimination and retaliation, federal officials announced Tuesday. Star-Advertiser. The University of Hawaii's next president will likely be paid less than the last three UH presidents, but several key provisions of his contract still must be negotiated that could leave taxpayers on the hook. Hawaii News Now. The 35th America’s Cup may turn into a bidding war for prospective venue hosts such as Hawaii and San Francisco, where the last event was held, according to the protocol released this week between the Golden Gate Yacht Club, which is the current holder of the America’s Cup won by Larry Ellison’s Team Oracle USA last year, and Team Australia’s Hamilton Island Yacht Club. Pacific Business News. U.S. Rep. Tulsi Gabbard, D-Hawaii, an Army veteran who has served two tours in the Middle East, asked President Barack Obama on Monday to use his executive power to allow veterans to access private medical care outside of the Veterans Affairs system without VA pre-approval and bureaucratic red tape. Hawaii Reporter. First Hawaiian Bank, the largest financial institution in the state by assets, is assuring customers that the potential $10 billion fine that its Paris-based parent is facing will not affect local operations. Star-Advertiser. Hawaiian Electric Co. and its subsidiaries are seeking regulatory approval to modify a rule that deals with connecting renewable energy systems, namely rooftop solar photovoltaic systems, to their grids, according to a 438-page filing this week with the Hawaii Public Utilities Commission. Pacific Business News. The Honolulu City Council is scheduled to vote Wednesday on the city’s 2015 fiscal year budget, capping off three months of debate that has included adjustments to Mayor Kirk Caldwell’s funding priorities. Civil Beat. Residents would have to pay the city to take away sofas, refrigerators and other bulky trash from their curbside, under a bill scheduled to get its first airing before the Hono­lulu City Council on Wednesday. Star-Advertiser. A lengthy environmental battle over a planned oceanfront hotel and condominium tower next to the Moana Surfrider Hotel in Wai­kiki is moving to the Hawaii Supreme Court. Star-Advertiser. A four-year-old fight between the city and a hui of environmental groups over a 2010 variance granted to Kyo-ya Hotels and Resorts for a 26-story hotel and condo tower in Waikīkī is expected to be taken up by the Hawaiʻi Supreme Court later this year. Hawaii Independent. In the next 100 days advocates will assess 1,000 homeless people in urban and leeward Oahu and put 15 of them in an apartment. The overall goal is to have the chronic homeless, the most difficult with the highest needs, in a home in just two years. Hawaii News Now. Tom Rounds, a legendary broadcasting executive and one of the original "Poi Boys," who helped put island station KPOI on the map, died Sunday in Los Angeles. He was 77. Star-Advertiser. Six County Council members will ask voters for another two-year term. Following a deadline Tuesday, more than half of the nine-member panel filed for re-election. Two council members — Brenda Ford and J Yoshimoto — face term limits, while one freshman representative is choosing not to run again. Tribune-Herald. Thirty-two candidates are seeking to represent Big Island residents at the state Capitol. Ten of the isle’s 11 state House and Senate seats will be on the Aug. 9 primary ballot, with all but one contested. Tribune-Herald. Environmental Management Director Bobby Jean Leithead Todd will have to justify in court her authority to head the department, following a ruling by 3rd Circuit Court Judge Ronald Ibarra. West Hawaii Today. Former County Council member Kelly Greenwell won’t serve jail time after all. Greenwell, 74, was sentenced to five days in jail in 2010 on a charge of resisting arrest during a traffic stop in Kailua-Kona. Greenwell appeared before 3rd Circuit Court Judge Ronald Ibarra Tuesday afternoon, on a motion by the county’s Prosecuting Attorney’s Office to see Greenwell’s sentenced imposed. West Hawaii Today. A 3rd Circuit Court judge issued a temporary restraining order to halt construction work at Keauhou Bay, pending a hearing on a lawsuit filed late last month. West Hawaii Today. The public is invited to a meeting tonight in Hilo about a National Park Service study about World War II internment sites in Hawaii. The session is set for 6-8 p.m. at the Hawaii Japanese Center at 751 Kanoelehua Ave. Tribune-Herald. Maui County will see several competitive races in the upcoming elections as veteran council members try to reclaim their old seats relinquished because of term limits and as former Maui Mayor James "Kimo" Apana seeks to get back into politics at the state level. Maui News. It is still yet to be seen if a citizens' initiative calling for a moratorium on genetically modified organisms in Maui County will be placed on the general election ballot on Nov. 4, Maui County Clerk Danny Mateo said Tuesday. Maui News. Maui Electric Co. customers who are not on solar power will see their rates rise following the Public Utilities Commission's approval Friday of "sales decoupling" tariffs for the utility. Maui News. A resort condominium in Lahaina plans to replace an old seawall to protect the property from winter storms. Associated Press. The window for candidates to file for public office in this year’s election has closed. Thirty-three Kauai residents have thrown their hat in the ring to run for 11 state and county seats up for re-election this year, including all 11 incumbents. Garden Island. Professional surfer, environmental activist, mixed martial arts fighter and North Shore native Dustin Barca filed Monday to run for Kauai County mayor in the 2014 election. Garden Island. The Kauai County Council will consider today whether the proposed charter amendment to further regulate genetically modified organisms and pesticides on the island should be amended or put to voters in its current form. Garden Island. Kapaa will lose a piece of its history when doors to the Kojima Store close at the end of the month. Garden Island. The state Dept. of Land and Natural Resources is investigating a confrontation that turned ugly between Molokai residents and a group of Honolulu divers. The state said the incident apparently stems from a long-running dispute between residents and outsiders who come to fish and hunt at the island. KHON2.